It’s intensive, it’s evidence-based, and it’s effective. The course will give you the skills you need to deal with even the most tricky of classes. You’ll get takeaway materials that you can share with colleagues back at your school, and also a year’s worth of behaviour management tips delivered fortnightly to your inbox. This day is highly rated by all those who attend. There’s plenty of parking and lunch is included. 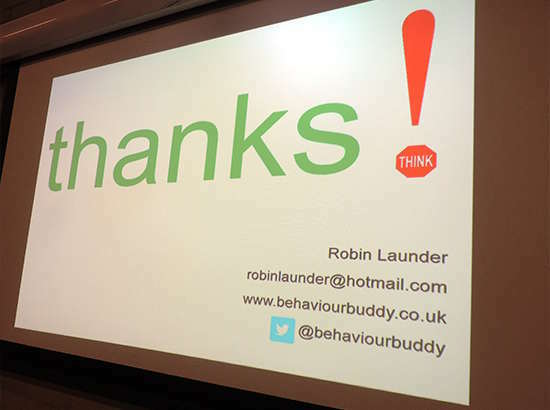 The day will be run by Robin Launder (Director of Behaviour Buddy) and Andrea Jacobson. Andrea’s educational experience is vast and varied: she was a pastoral AHT of a girls’ grammar school, a Deputy Head of a Pupil Referral Unit, and a Headteacher of a busy comprehensive. She currently works as a Behaviour Buddy trainer and independent consultant. To buy tickets for this event, just fill out the details below. You will be able to pay through a direct bank transfer (BACs) or paypal – even if you don’t have a paypal account, you can buy tickets through paypal using a credit or debit card.